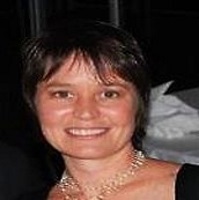 Belinda's expertise is in the area of monitoring and treatment of urban stormwater. 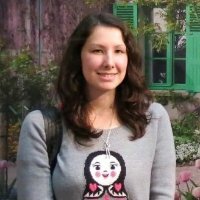 She is particularly interested in the long-term fate of pollutants in biofiltration systems, the development of treatment technologies for stormwater harvesting and the application of stormwater harvesting to improve the health of urban streams. Belinda is also committed to encouraging women in science and engineering. 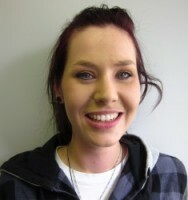 Bonnie joined Monash University in Febuary 2010. 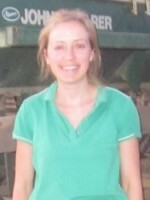 Prior to beginning her current research she completed a Bachelor of Environmental Engineering at Monash University. 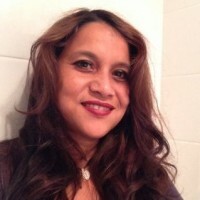 Bonnie’s work as an environmental engineering consultant included design and implementation of environmental management systems and project specific environmental management plans, risk assessment and environmental auditing. Outside of work and research she has an active interest in community environmental issues, wildlife rescue and rehabilitation and environmental policy. Systems ecology and ecological engineering of treatment wetlands and passive wastewater treatment systems. Darren is an ecologist with extensive community engagement experience, especially the administration of financial incentives and community grant programs that are aimed at improving environmental condition. 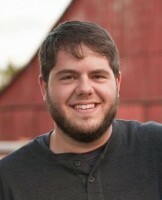 In addition to his research, Darren coordinates the knowledge exchange activities of the partnership. I am working on a project investigating the use of vegetation to remove nitrogen from stormwater in biofilters. The project aims to identify characteristics of plants favourable to nitrogen removal and use the outcome to guide species selection in biofilters. The removal performance of plants from Victoria and Western Australia are being investigated using a large-scale column experiment. Nitrogen processes will be investigated using isotopic techniques and the project aims to identify interactions between the vegetation, biofilter design and nitrogen removal. Acoustic wave propagation, 3D/4D velocity inversion, reverse-time migration (RTM), Wave-equation migration, rock physics, computational geometry and differential meshing. Lisa Levin is Director of CMBC and Distinguished Professor at the Scripps Institution of Oceanography in La Jolla, California. Before moving to Scripps in 1992 she was Assoc. Professor in the Dept. of Marine Earth and Atmospheric Sciences at North Carolina State University in Raleigh. 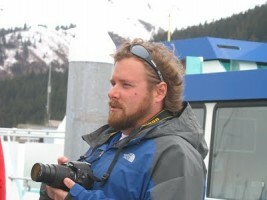 Dr. Levin is a marine ecologist who studies benthic ecosystems in the deep sea and shallow water. 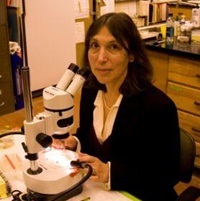 Together with her students Dr. Levin has worked with a broad range of taxa, from microbes and microalgae to invertebrates and fishes. 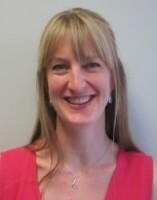 Her recent research has emphasized 3 major themes: (1) the structure, function and vulnerability of continental margin ecosystems, particularly those subject to oxygen and sulfide stress; (2) wetland biotic interactions as they mediate marsh function, invasion and restoration; and (3) larval ecology of coastal marine populations with emphasis on connectivity and response to ocean acidification and deoxygenation. The deep ocean covers over half of the planet but most of it is less well known than the surface of the moon. Dr. Levin’s research has been conducted over the past 3 decades on the margins of the Pacific, Indian and Atlantic Oceans using ships, submersibles and remotely operated vehicles (ROVs) to sample and conduct experiments. She has participated in over 30 oceanographic expeditions around the world and served as Chief Scientist on 12 of these. She is the author or co-author of more than 160 scientific publications. 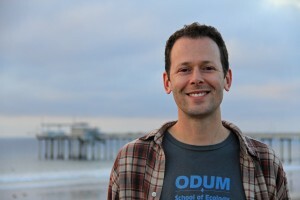 Dr. Levin has served as North American editor of the journal Marine Ecology, as founding editorial board member of the Annual Reviews of Marine Science, as past contributing editor for Limnology and Oceanography and Marine Ecology Progress Series, and has edited 5 special volumes on aspects of deep-sea biodiversity. 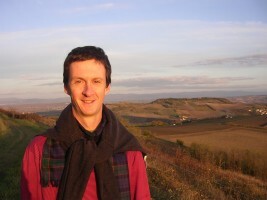 Matthias Leopold is a soil geomorphologist focussing on soils as geoarchives. 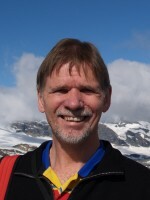 Frequently used methods of his studies include soil and geomorphic mapping, shallow geophysics, various laboratory methods such as XRD, XRF and others. 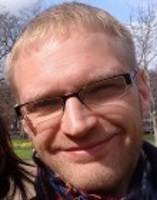 He is based at the School of Earth &amp;amp; Environment within the Soil Science.Matthias integrates knowledge from pedology and geoscience to study and to understand near surface processes at various scales and environments. Thus, he develops 2D and 3D subsurface models using geophysical methods, to characterise vertical and horizontal differences in the upper meters including soils. Portraying the complexity of the subsurface, recently known in science as the“critical zone”, allows statements about possible rooting depths, hydrological flowpaths, material composition, thickness variations of soil horizons and geomorphic layers – information highly wanted by agriculture, forestry and engineering. Adding numerical dating techniques such as OSL and radiocarbon towards stratigraphic sections, allows developing chronostratigraphic units in order to describe past landscape evolution - valuable knowledge for nowadays environmental development concepts. Jay is an environmental engineer with a focus on Water Sensitive Urban Design (WSUD) currently working for Ku-ring-gai Council in Sydney. 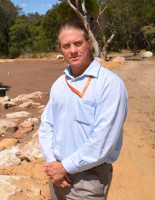 After working for a private consulting company focusing on WSUD and drainage, Jay moved to local government where, as lead environmental engineer, he had the opportunity to follow projects through their whole life cycle. 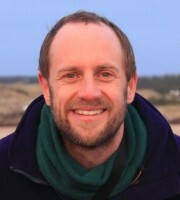 Jay has worked on a number of award winning projects and is widely published and recognised in the area of WSUD. 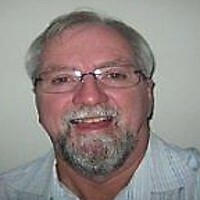 He is the lead engineer on all Council’s WSUD projects and has been responsible for the design of stormwater harvesting systems for a number of Council owned sports fields. Jay has also delivered a number of sewer mining and leachate reuse projects and developed some innovative raingarden and bioretention designs. Jay is actively conducting research into the planning and performance of these water reuse systems. My research focuses on the sources, cycling and fate of carbon nitrogen and phosphorus in aquatic environments, and in particular their role in eutrophication in coastal environments. To understand how these elements move and cycle through the environment I combine a range of approaches including standard wet chemical methods, the eddy correlation technique, planar optodes, flumes, stable isotopes and modelling. 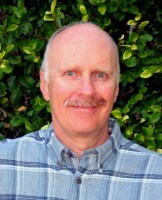 Richard F. Ambrose is Professor in the Department of Environmental Health Sciences at UCLA. He received his B.S. in Biological Sciences from University of California, Irvine and his Ph.D. in Marine Ecology from University of California, Los Angeles. After conducting postdoctoral research at Simon Fraser University in Vancouver, British Columbia, he spent seven years at the Marine Science Institute at University of California, Santa Barbara before returning to UCLA in 1992. 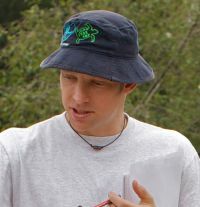 Professor Ambrose is a member of UCLA’s Institute of the Environment. He teaches graduate courses covering environmental assessment, restoration and conservation ecology, and effects of climate change. Professor Ambrose serves on a variety of different advisory boards and committees. He chairs the Scientific Advisory Panel of the California Coastal Commission overseeing a large mitigation project, and the Technical Advisory Committee for the Santa Monica Bay Restoration Commission (SMBRC), and serves on the U.S. Army Corps of Engineers' Environmental Advisory Board (EAB), the California Ocean Protection Council's Science Advisory Team, the Southern California Wetland Recovery Project’s Science Advisory Panel, and the SMBRC Marine Resources Advisory Committee. He has provided advice about environmental restoration issues to a wide variety of government and private organizations, including the National Oceanic and Atmospheric Administration, California State Water Resources Control Board, California Coastal Commission, California State Lands Commission, California Coastal Conservancy, California Department of Transportation, City of Malibu, Pacific Gas and Electric, Aspen Environmental Group and Geosyntec Consultants. After studying electrical engineering Richard taught senior level physics, mathematics and outdoor education for several years. He resumed his university studies and completed postgraduate qualifications in outdoor education, environmental science, and mathematics. His educational responsibilities also included project management for outdoor education activities, occupational health and safety, teacher and student management, teacher training, student leadership and counselling. In both his professional life and in his involvement in private projects, Richard has developed an enthusiastic interest in problem solving. This expertise is regularly drawn upon in his technical role in the Centre and he enjoys the stimulating working environment at the Civil Engineering Department – a wonderfully diverse group of people who are passionate and focussed about water conservation and purification. Tim Fletcher has expertise in stormwater quality, treatment and impacts, having written over 250 publications on the topic. His research focus has included modelling stormwater flows, quality and the performance of novel stormwater treatment and harvesting systems. 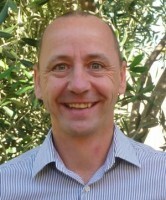 He has been involved in a range of green infrastructure such as biofiltration, infiltration and green roofs. Tim was the Technology Project Leader in the Facility for Advancing Water Biofiltration (FAWB) and formerly Director of the Institute for Sustainable Water Resources at Monash University. He was also an invited professor at the National Institute of Applied Sciences in Lyon (France). 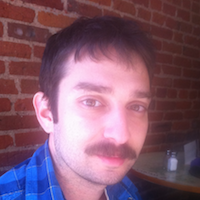 Tim was one of the leaders of the team that developed the Model for Urban Stormwater Improvement Conceptualisation (MUSIC) and co-leads, with Assoc. Prof. Chris Walsh the Little Stringybark Creek project - a world-first attempt at catchment-scale retrofit of WSUD (with the aim of restoring the ecological health of the creek). 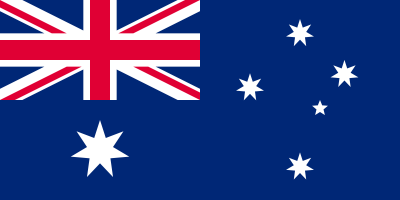 Tim has also been involved in the design and monitoring of several large-scale pilot green infrastructure projects in both Australia and France. 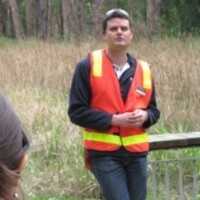 From May 2011, Tim has been an ARC Future Fellow and Professor of Urban Ecohydrology, based at the University of Melbourne.